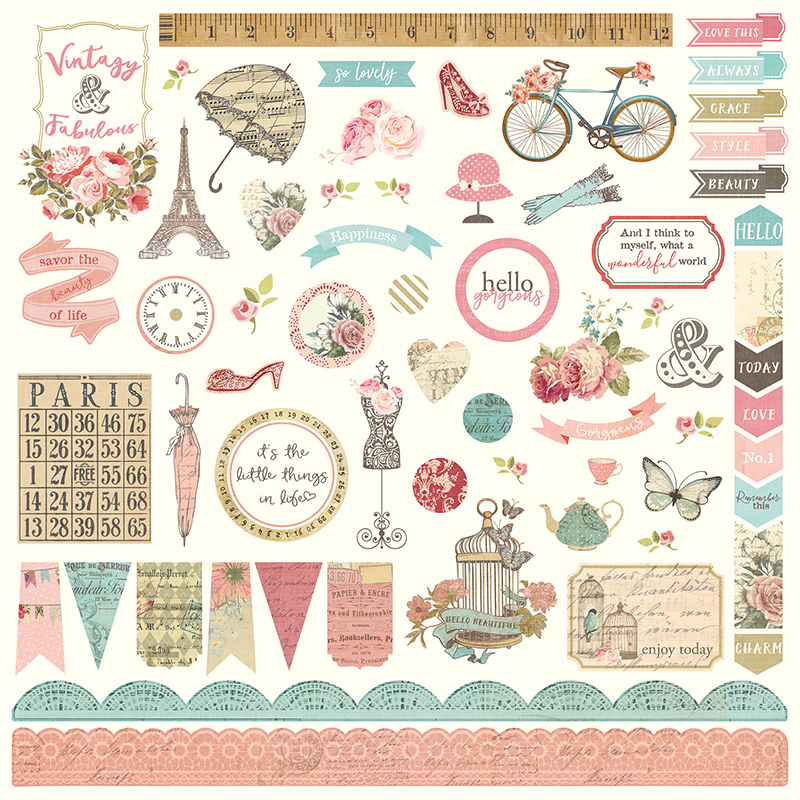 This 12x12 Sticker Sheet has a great assortment of all things Vintage that sure to give your Craft Projects that feel of yesteryear. PS: look for distress inks by Tim Holtz/Ranger right here at The Scrappers'Den. Look for coordinating Designer Papers and Ephemera Die-Cuts. French Flea Market Collection by Photo Play Paper.